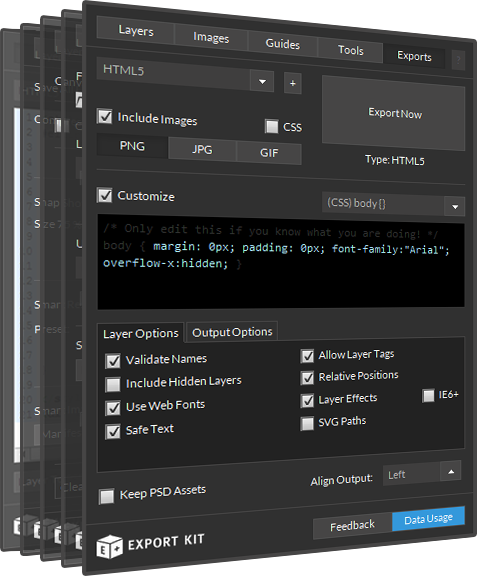 This is a full export to multiple webpages using a single PSD file. 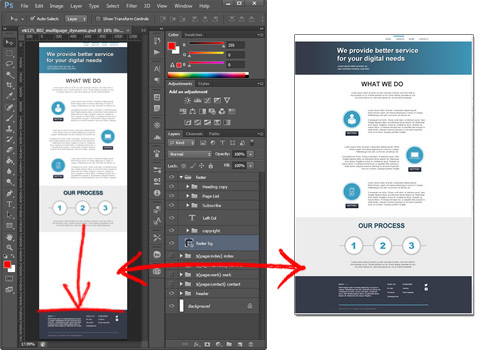 This sample will demo a dynamic design where each page will respond to the size of the content – not the Photoshop document. 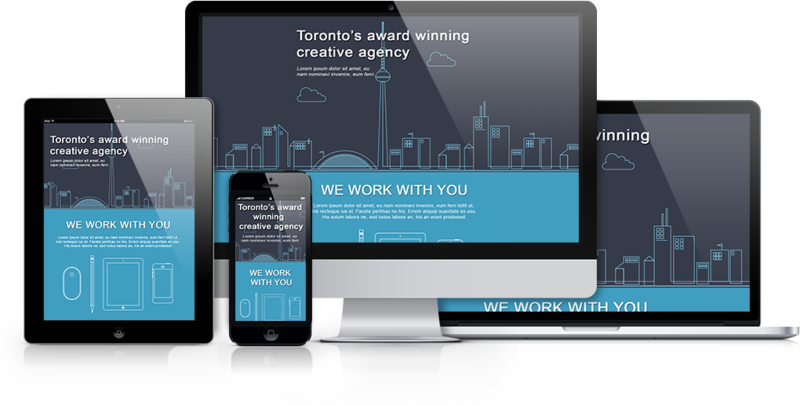 Modern websites will typically have page designs that change on a per-page basis. Using Dynamic Height and Multiple Pages with your design will allow you to output complete customized projects from a single PSD. Adding your page contents to a group/folder, eg. Content will allow you to have pages which are unique in size. 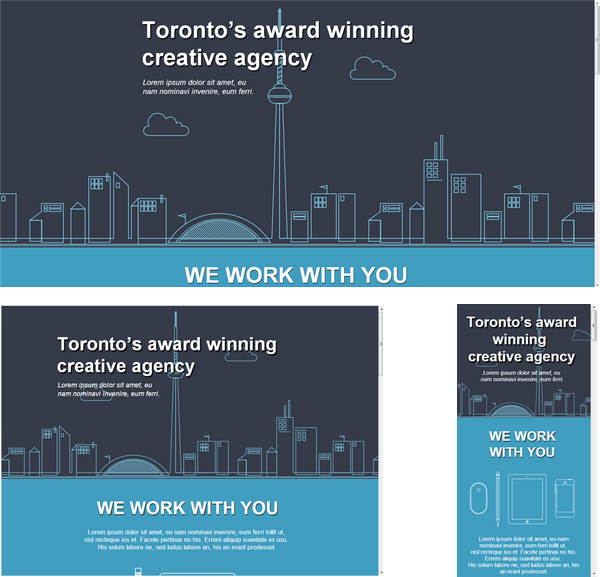 You will have different page designs that may have different heights – this is normal. Export Kit will remove the extra space in the Output. Learn more about Creating Pages with Dynamic Height.